The Apple Watch was released in the US and other countries in April this year, but not New Zealand! We’ve had to wait three months for Apple to make enough of them to start selling them here. 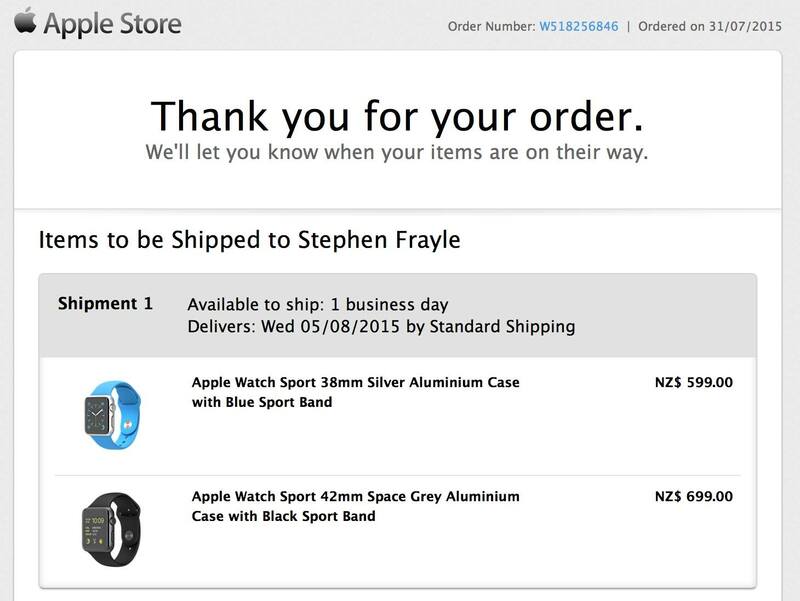 Finally that day has arrived and Stephen and I queued online at 7am to buy one each. It should be here next Wednesday, I can hardly wait! !